Where can you stream Salvation? 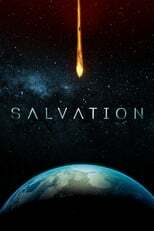 On 2017-07-12 Drama/Sci-Fi & Fantasy TV Series Salvation first aired on CBS. Written and created by Matt JL Wheeler & Elizabeth Kruger, and produced by K/O Paper Products & CBS Television Studios, .